We have lived in the Lone Star State since 2008 and we get a taste of Tex-Mex meals and cowboy-country cooking all around town, whether at food festivals, restaurants or informal get-togethers. We especially enjoy the down-home desserts, such as cobblers and cookies, pies and puddings and custards (flan) and cakes. Sometimes we see a sweet and simple chocolate cake at social events. What looks like a giant fudge brownie is known as a “Texas sheet cake.” And since “everything is bigger in Texas,” the flavor of this rich, moist dessert is even more pronounced—irresistably chocolaty and fudgy! Texas fudge sheet cake is considered a comfort food. The ingredients are basic and the recipe is straightforward. The completed cake can be ready in less than an hour! It is sturdy enough to transport to potlucks and can be served straight out of the pan in which it was baked. Mmmmm…fudgy, not fussy! 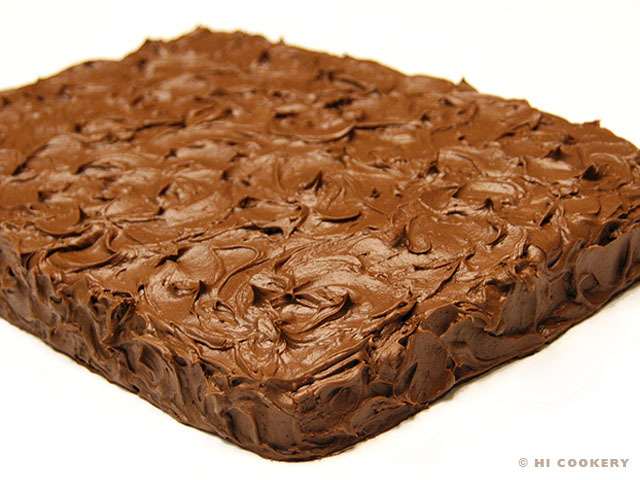 Try this Texas fudge sheet cake for National Fudge Day. In a large mixing bowl, combine the flour, sugar and salt. Set aside. In a pan, melt the butter. Stir in the cocoa, then the boiling water. Boil for another 30 seconds. Pour the chocolate mixture into the flour mixture and stir. 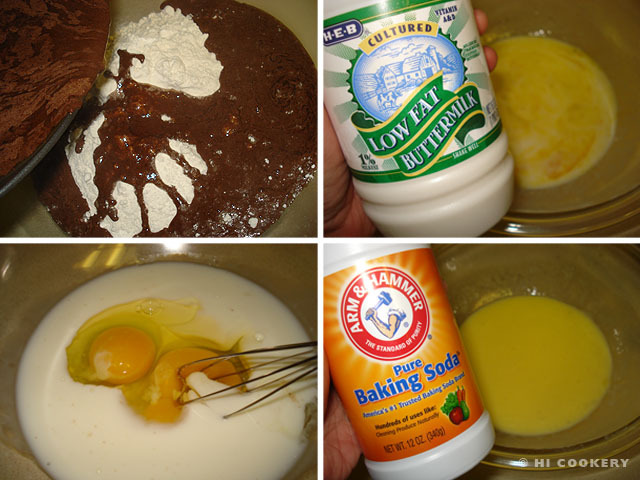 In a small bowl, mix the buttermilk with the eggs and baking soda. Add the vanilla to the buttermilk mixture. 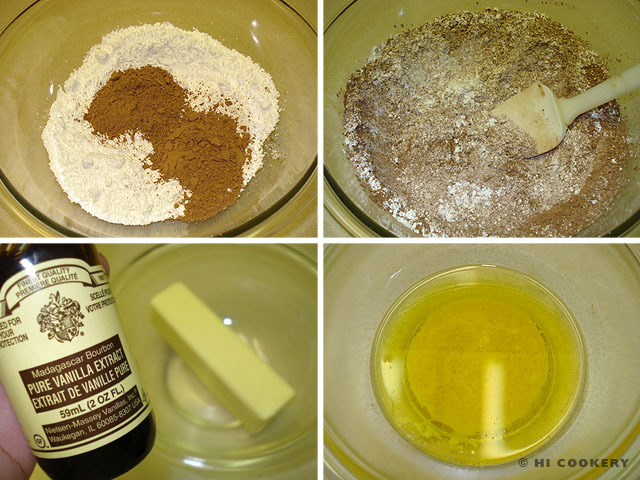 Pour this into the flour-chocolate batter and mix until thoroughly combined. 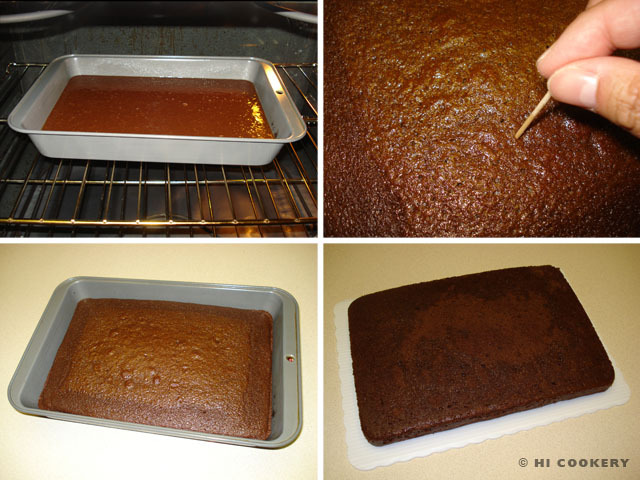 Pour into a lightly greased 9×13-inch baking pan. Bake in a preheated oven at 350 degrees F for 20 minutes, testing for doneness with a toothpick. Remove from the oven. Cool completely. The cake may be frosted in the pan itself. Or it may be inverted onto a cake board or platter and then frosted. In a large mixing bowl, sift the cocoa with the sugar to remove any lumps. In a separate microwave-safe bowl, place the stick of butter, cover with plastic film/wrap and microwave until melted. 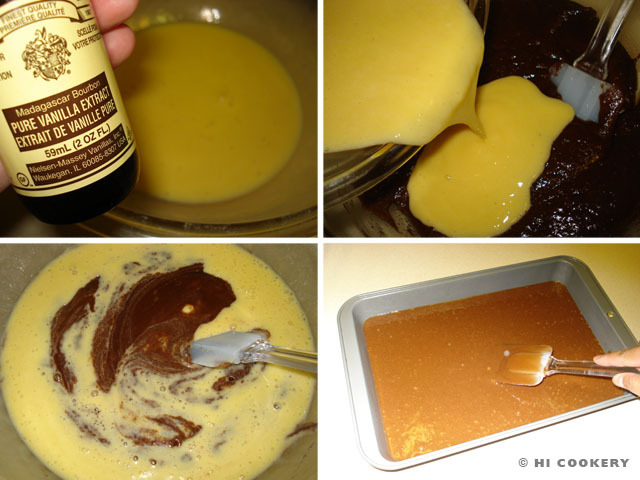 Remove the melted butter from the microwave and stir in the vanilla. 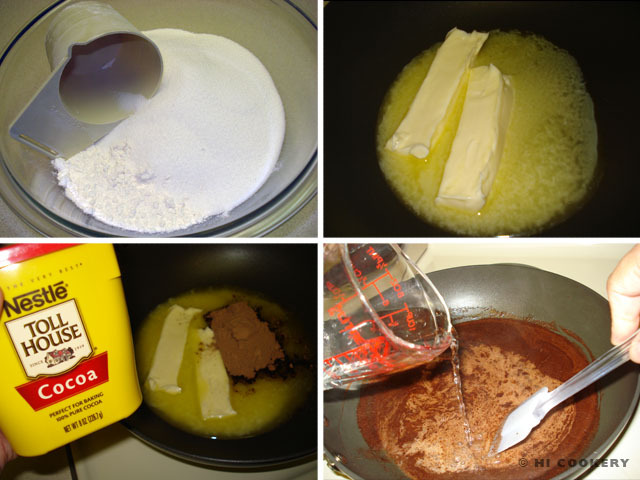 Pour the butter-vanilla mixture into the cocoa-sugar and stir to combine. Add 1/3 cup milk and blend with a hand-mixer until smooth. 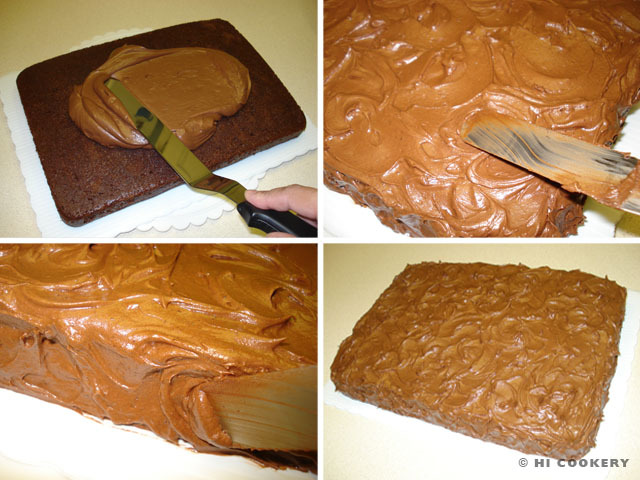 Add a tablespoon of milk at a time to achieve the desired spreadable consistency for the frosting. Generously spread the top of the cake with frosting. 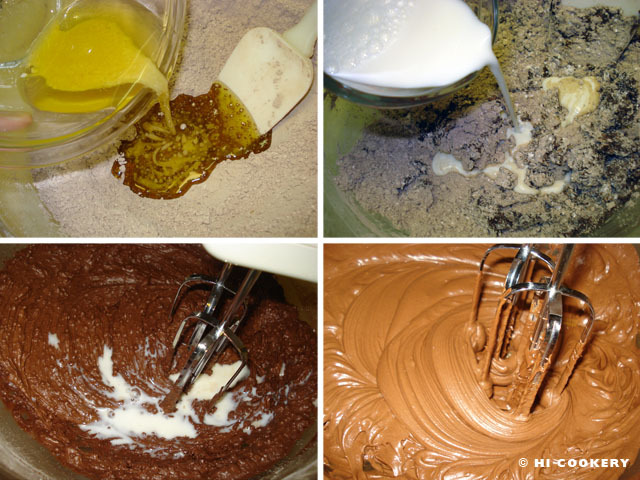 Make decorative swirls with the spatula on the top and sides of the cake. Let set. Slice and serve. Howdy, partner! Texas fudge sheet cake pairs well with plain vanilla ice cream. At weddings, the Texas sheet cake recipe gets dressed up as a groom’s cake. Baked in a Texas-shaped pan and decorated with chocolate-dipped strawberries, this fudge cake is a favorite among guests at a Texas BBQ reception!